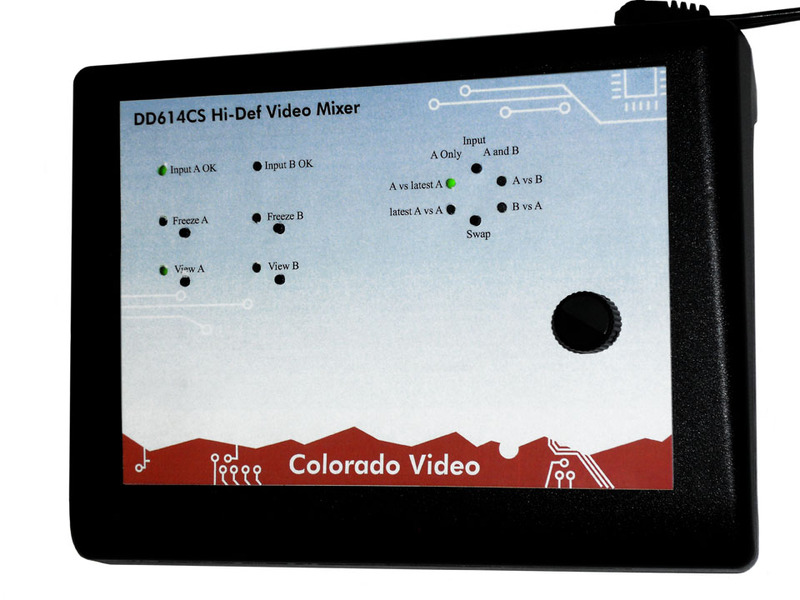 The Model 614 Series Standard and High Definition Video Mixer displays two video sources on one monitor by forming a double exposure effect. 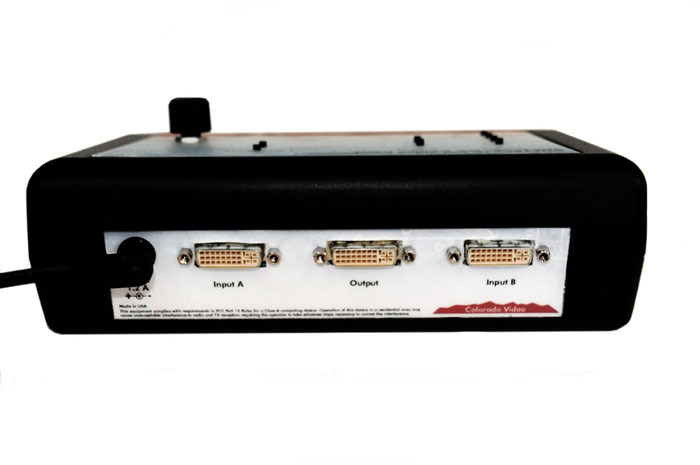 The 614 Series Mix mode provides a double exposure effect by adding two video signals or images together. The front panel control knob can be used to fade from one input to the other or to add the two sources together to varying degree.